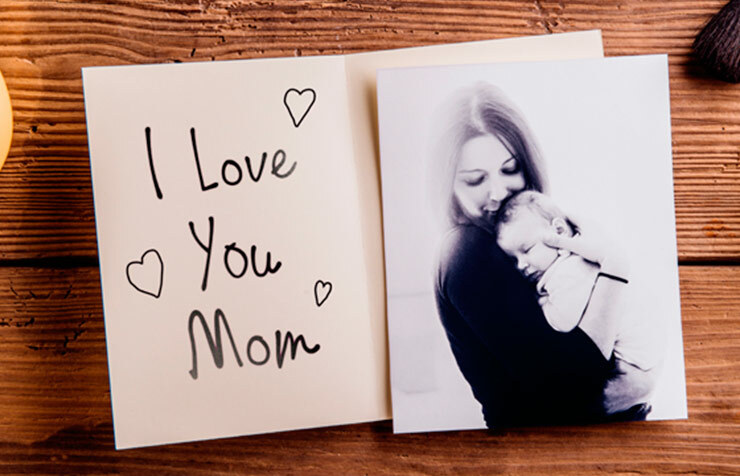 For your next family occasion or announcement, add a personal touch by sending a personalized photo greeting card, announcements or invitation. It's the perfect way to connect with the people you care about. Create greeting cards through our new easy to use web based ordering system. Just click on the "Order now" button below to begin. Lots of ways to let them know you care. We have over 500 styles of 4x8 inch cards to choose from, as well as 5x7 cards as well with lots of room for text and your favorite images. Many new multi-image card style to choose from. Need more information or want our staff to help you in store?